The features in this watch-style GPS tracker make it an enticing option. 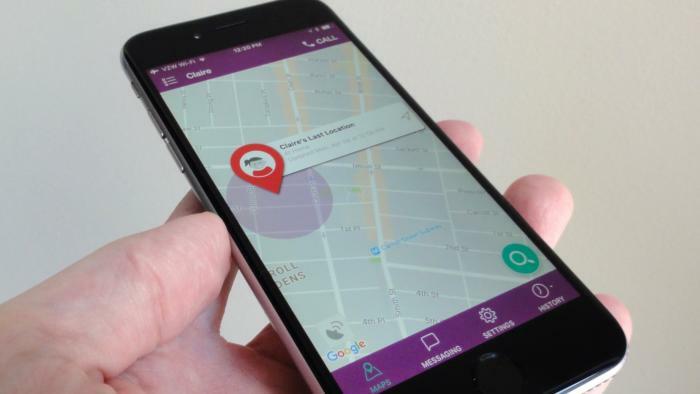 Of all the ways you could track your child's location, the LG GizmoGadget for Verizon Wireless ranks among the best. Tough, light, easy to use and packed with features, the touchscreen device is an enticing watch-style GPS tracker for kids and parents alike. Note: This review is part of our coverage on the best GPS trackers for kids. Follow the link for details about competing products and how we tested them. Available through Verizon Wireless, the $150 LG GizmoGadget counts as a line of service on your account—so you'll have to pony up a monthly access fee. The good news is that the access fee for the GizmoGadget is only $5, versus the $20 monthly fee that Verizon charges for most phones. Any calls made or data consumed by the GizmoGadget counts against your monthly account-wide minutes and mobile data. A little more than a half-inch thick and weighing about 1.8 ounces, the GizmoGadget looks massive on a small wrist. Of course, that wasn't a problem for my gadget-obsessed six-year-old, who viewed the chunky form as a plus, not a minus. While the face of the GizmoGadget measures about two inches diagonally, the actual 1.3-inch touch display looks considerably smaller, with Call and End buttons sitting below the touchscreen. The waterproof, slightly rubbery body of the watch feels light but reassuringly tough, meaning it should survive roughhousing on the playground or even a splash from the water fountain. A micro-USB charging port sits on the back of the watch, covered by a protective flap. The LG GizmoGadget is a bit bulky for smaller wrists. Keeping the GizmoGadget on a young wrist can be a bit of an issue, with my six-year-old complaining that the watchband started to hurt within a half-day of use. Strapping the GizmoGadget over the cuff of a long-sleeved shirt certainly helped, and older kids with larger wrists might have an easier time finding a good fit. 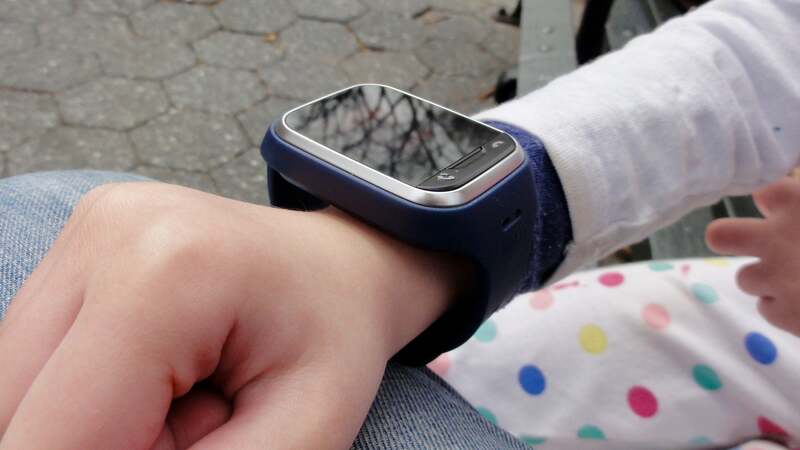 It should also be said that the GizmoGadget's bulky, somewhat striking look draws a certain amount of attention from nearby kids and adults alike, with a surprising number of people asking me if my daughter was wearing an Apple Watch. All the envious looks at my kid's watch made me a bit nervous. Then again, if you're going to strap a $150 gadget on your kindergartner's wrist, some unwanted attention comes with the territory. If you'd prefer a GPS tracking watch that looked more like a toy, consider the cheaper LG GizmoPal 2, also available through Verizon. Getting started with the GizmoGadget is a relatively simply process (and, incidentally, identical to the setup process of the cheaper GizmoPal 2). Once you install the GizmoHub app on an iPhone or Android phone, you then pair it with the GizmoGadget by plugging in the watch's Verizon phone number (which flashes on the screen the first time you turn it on). Next, you add yourself as a "primary caregiver" contact, entering your name and whatever your child calls you (anything from "Mommy" and "Daddy" to "Grandma" or "Brother"). You can then personalize the phone by adding your child's name and picking a theme (like "Space," "Underwater," or "Princess"). A five-digit PIN delivered via SMS completes the basic setup process. Front and center on the GizmoHub app is a map that pinpoints the location of your kid's GizmoGadget. Note that the displayed location isn't a reflection of real-time position. Instead, you must manually fetch the watch's location by tapping the Find button, or by scheduling Place Alerts or Location Checks. Place Alerts trigger notifications when your GizmoGadget-wearing child arrives at or departs a designated location, such as "School" or "Home." They have a couple of annoying limitations: You can set up only five Place Alerts at a time, and each Place Alert can be active for only two hours at a time. The only way to track your child's comings and goings at school continuously would be to program a series of two-hour Place Alerts that cover the entire school day. You can check the location of the LG GizmoGadget manually by tapping the Find button, or you can create up to five Place Alerts or ten Location Checks. In addition to Place Alerts, the GizmoGadget also offers Location Checks, which automatically fetch the watch's location at predetermined times. For example, you could set up a Location Check that pings your kid's GizmoGadget every weekday at noon, or each Tuesday at 2 in the afternoon. As with Place Alerts, you can set up only so many Location Checks at a time, although you get up to ten Location Checks versus only five Place Alerts. Presumably, the restrictions on Place Alerts and Location Checks are to preserve battery life. If you tried tracking the GizmoGadget’s every move, its watch-sized battery wouldn’t last past lunchtime. You can create up to 10 contacts on the GizmoGadget, including yourself, using the GizmoHub mobile app. If you like, you can also flag a contact as a "caregiver," which lets them locate and send messages to your child via GizmoHub. Making calls from the GizmoGadget is a simple matter of pressing the Call button and then tapping the name of a contact. My eager six-year-old, delighted that she could call me whenever and wherever she wanted, figured out the process within a split second. If you’re concerned about your child calling strangers, don’t worry: The GizmoGadget's call functions work only for the contacts you've programmed into the watch. 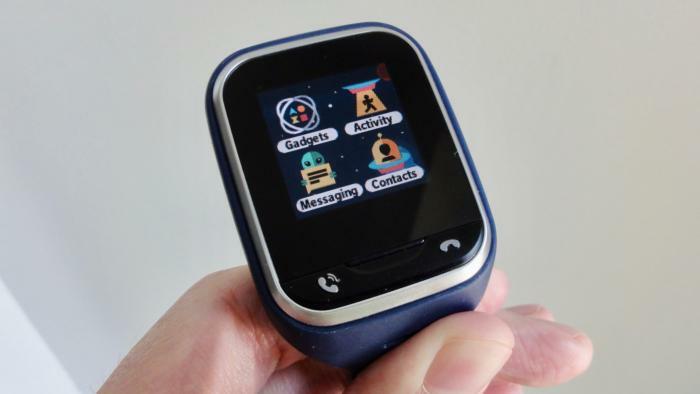 The GizmoGadget also comes with some basic text-messaging features, including the ability to send stickies, brief voice messages, and short pre-written messages (everything from "I'm home" and "I love you" to "Where are you?" and "When are you picking me up?") to designated "caregivers" on her contact list. Last but not least, your kid can also quickly send her location by swiping up on the screen and tapping a confirmation prompt. The GizmoGadget’s touch-and-swipe interface is easy to navigate, particularly for digital natives like my kindergartner. Besides the main watch face, you can swipe in one direction for “Fun Sounds,” a feature that plays fun clips like zippy space noises, walkie-talkie lingo, or underwater effects, depending on the setting. The LG GizmoGadget boasts plenty of games and activities, as well as basic text messaging. Swiping in the other direction takes you to a series of tappable icons. The Gadgets icon, for example, includes a compass, a stopwatch, and a timer, while the Activity icon features a jumping game and a step counter. The latter can send you daily notifications on how many steps your kid took—my daughter particularly loved this feature, running up and down our stairs to boost her total steps. There's also a to-do list that you can edit remotely from the GizmoHub app, and even a voice recorder that changes the sound of your voice. If you're worried about the GizmoGadget's various beeps and bops disrupting class, you can schedule up to 10 "quiet times" that'll silence the watch's sounds and ringtones. The LG GizmoGadget's rated battery life is eight days of standby time and two hours of constant use. During my time with the GizmoGadget, I found that it lasted two or three days on a single charge with moderate use—three or four location checks a day, plus the odd phone call. If you're constantly pinging the GizmoGadget for its location and making frequent phone calls, you'd probably have to charge the watch each night. 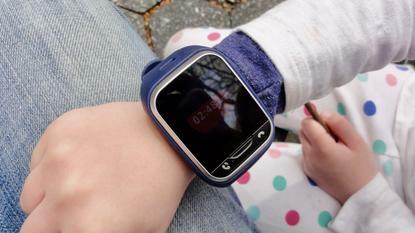 An easy and relatively affordable way to keep track of your kid, the touchscreen LG GizmoGadget GPS tracker watch packs in an impressive number of features—including two-way calling, text messaging, and plenty of activities and games—into a tough, lightweight but somewhat bulky package. Still, we wish you could program more location alerts at once, and the watch itself might prove too big for younger children to wear comfortably.